Dry, fruity & aromatic, from the Veneto region! Ageing: Ageing takes place on the lees at the end of fermentation in concrete vats covered with glass bricks. This allows a slow and gradual ageing, thanks to the constant conditions of temperature and micro-oxygenation of this historic container. Tasting notes: A shining yellow colour with golden highlights. Intense on the nose, layered, surprising and unique. Intense notes of white flowers and gooseberry bring to mind something original. It continues with notes of peach and apricot, suggesting its complexity and surprising personality. 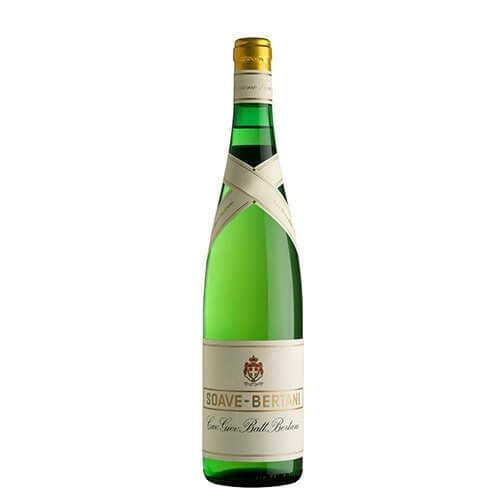 On the palate the acidity is vibrant, softened by intense notes of gooseberry, peach and apricot, all accompanied by a richness of taste that makes the aftertaste long and lingering. Food pairings: A white with a great personality and complexity, it goes well with flavoursome white meats and intensely-flavoured fish dishes such as creamed salted codfish or trout.